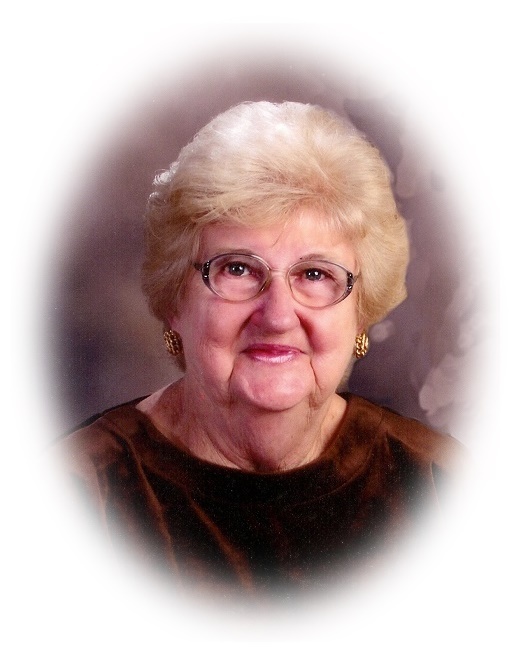 Helen Margaret (Siesel) Myers, 92, of Monroeville passed away early Sunday morning, December 9, 2018 in the Stein Hospice Care Center, Sandusky following a brief illness. She was born August 5, 1926 to the late Albert and Agnes (Burgel) Siesel in Monroeville, where she was a lifelong residence. Helen was a lifelong homemaker and farmer. She also drove school bus for Attica/Seneca East Schools for 23 years. Helen was a member of St. Joseph Catholic Church, where she was married by Rev. Frank Konst to the love of her life, Alvin Myers on April 13, 1950. She was on the Altar Rosary Society at St. Sebastian in Bismark, a social member of the Bellevue Eagles, Moose Lodge, Willard, American Legion, Norwalk, and the Huron County Farm Bureau. Helen enjoyed watching “her” two eagles outside her kitchen window, card club, bowling, crocheting and knitting. She is survived by her children, Brenda (Ken)Welter Landoll of Norwalk, Elaine (Terry) Fitzgerald and Ron (Sue) Myers both of Monroeville; seven grandchildren, Chad (Billie Jo) Welter, Laura (Troy) Baxter, Shawn (Shelley) Fitzgerald, Jody (Craig) Hampton, Monica (Keith) Wright, Anthony (Deb) Myers, and Adam (Dannielle) Myers; thirteen great grandchildren, Morgan, Tyler, Jocelyn, John, MaKenna, Alayna, Josh, Cameron, Maverick, Weston, Amber, Alyssa , and Oliver; cousin, Harold Zimmerman; one brother-in-law, James Green; nieces, nephews, and other relatives. She was preceded in death by her husband, Alvin J. Myers in 2016; her parents; two sisters, Marion (Henry) Droll and Virginia Green; one brother, Donald Siesel; and one son-in-law, Jack Welter. Friends may call from 3:00 PM – 7:00 PM on Wednesday, December 12, 2018 in the Pfeil Funeral Home, Monroeville Chapel, 109 Monroe Street, Monroeville. A Mass of Christian Burial will be held at 10:00 AM on Thursday, December 13, 2018 in the St. Joseph Catholic Church, 66 Chapel Street, Monroeville. Rev. Ronald Schock will officiate. Burial will be in St. Joseph Catholic Cemetery, Monroeville. Memorial contributions may be made to the St. Joseph Endowment Fund, 79 Chapel Street, Monroeville, Ohio 44847 and Stein Hospice Service, Inc., 1200 Sycamore Line, Sandusky, Ohio 44870.